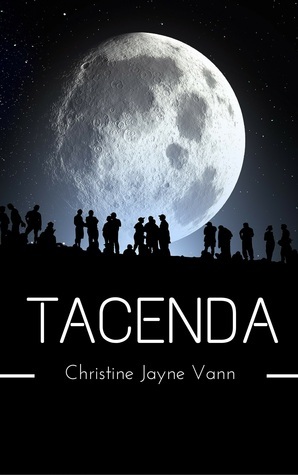 Tacenda tells the tale of two telepaths and their semi-sentient ship as they settle communication disputes for the Concordat in colonies across space. The Messenger’s current mission is to determine what has happened to the missing children of a seedling colony. The odd-couple, a human male and a nestling alien that are linked to each other’s thoughts and feelings, take up the task of solving the mystery. Unfortunately, for this reader, Tacenda falls short. 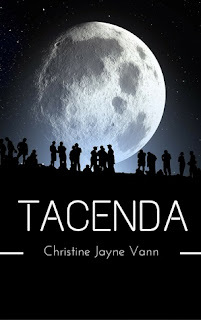 While every reader has their own objectivity to take into account when reviewing, this reader found Tacenda had a plodding pace and a slow and drifting story structure. With any book, it’s reasonable to take a while to get into. With Tacenda, I kept expecting to be drawn in, but I was blocked on every page by large walls of text that didn’t add to the plot. It took half of the story to get to the missing children. The mystery was solved the next chapter. And then there was still the last half the book to go. It’s a shame, as the author has clear talent. Each individual sentence was well-crafted. The characters were well-defined, and the character of Lily was my favorite. But Lily was over-shadowed by too much noise. It’s possible to have five wonderful sentences, but put together, they make an unfortunately slow paragraph. It’s possible to have two solid characters, but because of their psychic link, it becomes difficult for the reader to understand who is saying or feeling what. It’s possible to have a great conflict, but have it buried under verboseness. Ultimately, what I felt Tacenda lacked the most was a developmental editor. It needed someone to cull the words and say, “this doesn’t lead the reader anywhere.” If it were shorter, the line of stars would be longer. 3 stars for great characters, ideas, and concept, but too much of the prose just didn’t belong. Next time you drive by a cemetery, take a look. A good look. Does it creep you out? Does it make you wonder what's in there? What's under the earth? 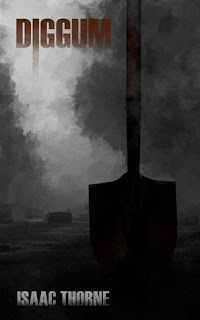 Read Diggum, it makes cemeteries even creepier. It's a short story but not too short. It takes its time to feel the earth between its fingers. It takes its time to make the fear creep up on you. This is the tale of a gravedigger, who came to live in a small cottage in the cemetery after fire took his family. Well, he's got a place to live, and a job to do now, and he does it with a dedication. A little too much dedication. You see, he doesn't just draw the line at shoveling the earth on top of the grave. Oh no, he has more to do than that. Even if people try to stop him. Quietly, darkly grim, this tale is measured, elegant, and ready to bury you in fear before patting the earth neatly down on top.